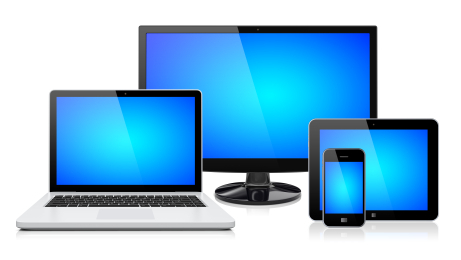 Home / geekspeak / Desktop, Laptop Or Tablet: Which one is right for you? Desktop, Laptop Or Tablet: Which one is right for you? When the personal computer became truly “personal”, there was only one choice to make, and that was what type of desktop machine you wanted, and whether you wanted the monitor built in, or if you were going to use an external display screen, including the home TV. Notebooks emerged as an option later in the 1980s, and they’re now the most dominant computer type, although in recent years we’ve seen the explosion of tablets as a computing powerhouse worth considering. As the end of the financial year beckons, it can be tempting to make a capital purchase on new computing equipment, but which type makes the most sense? There really is no single one-size-fits-all answer to that particular question, but there are plenty of considerations to take into account before putting some damage on your credit card. Desktops are often seen as a “dying” breed, but there’s a level of flexibility available in desktop PCs that simply doesn’t exist in notebooks or laptops. It’s feasible to upgrade an entire desktop at once, but you can also tinker around the edges with new memory, processors, graphics cards or even a complete replacement motherboard. My work desktop hasn’t changed its case in more than a decade, even though every bit of its innards from power supply to processor have changed, in some cases multiple times. If your needs encompass needing a lot of computing power, a desktop can’t be beat for price. Portability and size issues. Desktops are at the very best only luggable, and you need a fair amount of space simply to store them. If you need your data on the move, that can be a limiting factor, although using cloud storage solutions such as Dropbox or Skydrive can mitigate that to an extent. Desktops aren’t the most aesthetically pleasant creatures either — although you can always hide them under a desk when feasible. Portable is nice, but it introduces issues of wear and tear that desktops don’t suffer from. Battery life is a key concern for mobile users, and notebook batteries are expensive to replace — if they’re not sealed into the system in the first place. Aside perhaps from internal memory, you can’t easily upgrade most notebooks, which usually equates to a limited shelf life. Like laptops, the portability of tablets adds a layer of peril, as units which are essentially big glass panes are rather easy to shatter, and expensive to fix. The fixed battery can be an issue after a few years as well, as can — with Android and iOS tablets — the rather restrictive approach to storage systems. It’s possible to be productive with a tablet, but in most cases you’d be more productive with a laptop.